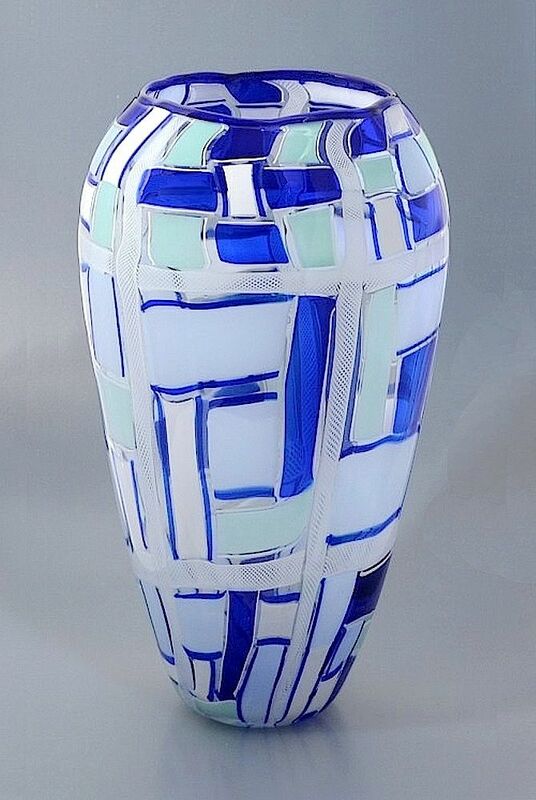 This really lovely large balaster shaped vase was made by Michael Hunter for Twists Glass in 2010. It is comprised of tessera canes in various shades of blue and white zanfirico canes in a patchwork pattern. There is a very narrow blue incalmo top. It is signed "M Hunter Twists Glass 10 Tessera"and is a unique non-production piece.